Hosted by The Enviropaedia, the 2018 Eco-Logic Awards is now open for entries. The awards ceremony will take place 5 June 2018 (World Environment Day). 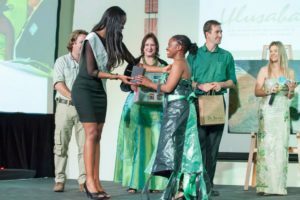 “Each year we profile and promote the best of South Africa’s eco-champions. 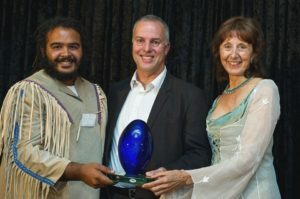 We actively encourage all business and private consumers to support and reward them for their eco-logical efforts by purchasing their products and services,” says David Parry-Davies, director of The Enviropaedia and Eco-Logic Awards. The invitation to enter the awards is open to South African small businesses, large corporate organisations, non-governmental and community-based organisations, municipalities and individuals who are leading the way in environmental excellence and innovation. 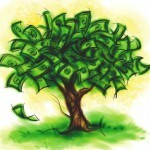 “The Eco-Logic value system is a radically new approach to addressing today’s environmental challenges. 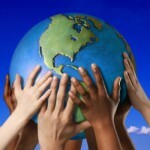 It identifies the destructive thinking patterns and values that have led to today’s environmental critical conditions, and promotes an alternative set of constructive values and thinking patterns (the seven virtues of Eco-Logic) that support and benefit people, planet and a green economy,” says Parry-Davies. Reflects ‘Eco-Logical wisdom’ by being both intellectually and emotionally intelligent. 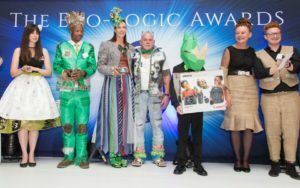 Up to five of the best entries from each category will be invited to attend the ‘glamorously green’ Eco-Logic Gala Awards evening in June 2018. There is no entry fee and entries will close on 31 January 2018. The same project can be submitted in multiple categories. The competition entry form is available on the Eco-Logic Awards website.